Paul St. Marie is from a family with a proud and rich heritage in Elyria and the surrounding communities. For almost one hundred years, the St. Marie family as served Lorain County with members in the legal, medical, education, religious, and business fields. Paul St. Marie is no exception to this family tradition. The third of eight children born to Marge and Jeré St. Marie, Paul attended school at St. Mary’s and Elyria Catholic High School. Hard work was no stranger to Paul, who held jobs at The Elyria Chronicle, Palm Crest Nursing Home, The Baker Building, Lorain County Engineer’s Office and Ridge Tool Co., while working his way through school at Bowling Green State University. Paul graduated from Bowling Green in 1978 with a Bachelor of Arts degree. Paul continued his education at Cleveland Marshall College of Law, graduating with a Juris Doctor degree in 1981. While attending law school, Paul was employed as an investigator with the Lorain County Court of Common Pleas in the Domestic Relations Division. After graduation, Paul returned to Lorain County full time as an assistant Municipal Prosecutor with the City of Elyria. These early jobs gave Paul invaluable experience in the areas of criminal justice and general litigation which he would then use in his career as an attorney in private practice. In 1984, Paul married Maureen St. Marie (Carr) and together they have raised three children, Stephen, Sarah and Melanie, the youngest of whom will soon follow in the footsteps of her older brother and sister and complete her undergraduate education at an Ohio university. Paul also joined the law firm of Basinski and St. Marie Co., L.P.A. in 1984, later becoming St. Marie Law Firm Co., L.P.A. Paul is currently a member of the Lorain County, State of Ohio and American Bar Associations as well as the Trial Lawyers of America. 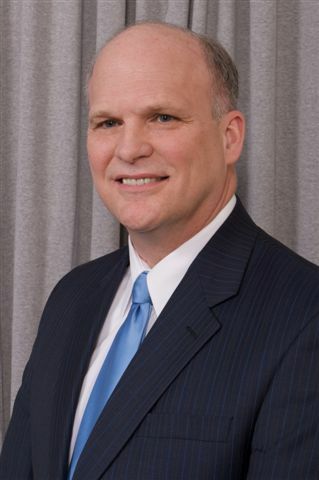 Paul has extensive experience in the area of criminal defense, including practice in the Ohio and Federal courts. Paul also has a growing practice in family law and personal injury. True to his family’s heritage of service, Paul remains active in the community, at times serving on the boards of the Elyria YMCA, Lorain County Legal Aid Society, Elyria Sports Hall of Fame, Elyria Catholic Endowment Board and the Elyria Board of Zoning Review.